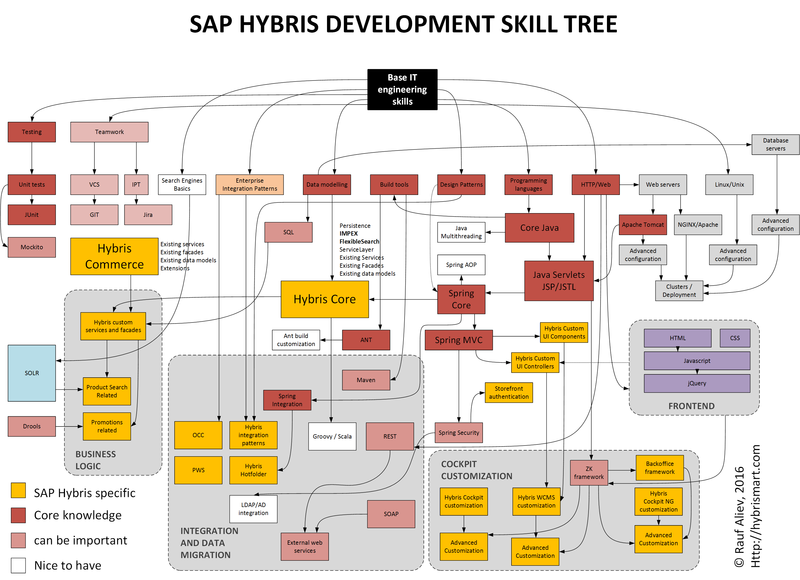 This chart shows a set of skills and knowledge needed for hybris developers. The pieces of knowledge are connected and grouped to allow you to see the dependencies and ultimately the big picture. Click on the picture for the larger PDF version.